Start off the New Year with expert carpet cleaning in Mansfield! 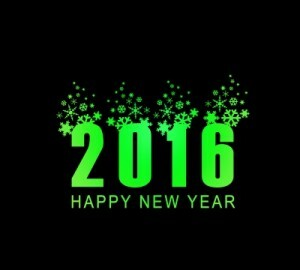 From all of us at Dr. Clean Carpet, we wish you the best year yet! Every year, it’s the same. The new year rings in and we begin making our New Year’s resolutions. Whether you’re in Mansfield, Dallas or anywhere in the Metroplex, you’re making your list of how you want 2016 to be different. We suggest that you treat yourself well this year. Sure, it’s easy to go through the motions of life and just settle for “okay”. But we don’t want you to settle any longer! That’s why we recommend you choose an expert when it comes to carpet cleaning. Are you thinking about your Mansfield business? Or perhaps your home? Here at Dr. Clean Carpet, we pride ourselves in doing our very best for both residential and commercial clients. Every one of our technicians are highly trained and I.I.C.R.C certified. They’re also well armed with the best supplies and equipment to provide you with expert carpet cleaning. How is it that we can guarantee that you will receive expert carpet cleaning? It’s our powerful 2 – step process which provides a true cleaning for your carpet. ➡Step 1: It starts with our all natural, hypoallergenic pre-spray treatment. This is used to help emulsify the dirt and soil that’s been trapped in your carpet. ➡ Step 2: The pre-spray treatment is followed by the power of steam. Using 220°+ water, combined with the powerful suction from our commercial grade, truck-mounted equipment, we extract the debris and allergens that have been hiding in your carpet. With such powerful suction, 95% of the moisture is removed, making for a quicker drying time. By choosing to have an expert take care of the carpet cleaning in your Mansfield home or office, you can be confident that the majority of dust, dust mites and other allergens have been removed from your carpet. That results in less allergies, which is a relief to those suffering with asthma and other breathing problems. One last point : because we insist on providing you with expert carpet cleaning, you’ll find that our exclusive cleaning methods leave your carpet clean and clear of soapy residue. That means your carpet is going to look cleaner and fresher longer. So, what do you say? Why not start off the New Year with clean carpet in your Mansfield office and home! Go ahead and give us a call to schedule your appointment.